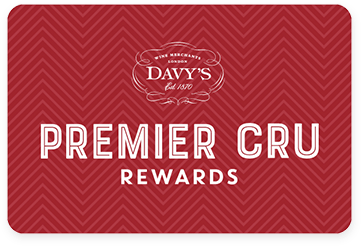 Premier Cru Rewards - Purchase this today and earn 79.5 points to redeem for free wine and gifts. Located in the Wairau Valley in Marlborough, Cloudy Bay is renowned throughout the world for its trail blazing Sauvignon Blanc. With citrus aromas and tropical notes the palate is silky with ripe stone fruits, lemongrass and a delicate minerality. Good acidity and a great length meaning it has potential ageing. Cloudy Bay was established in 1985 by David Hohen who previously established Cape Mentelle in Margaret River, Australia. Located in the Wairau Valley in Marlborough they farm 60 ha of vines. The original estate was converted from barren sheep and cattle country to thriving vineyard in 1986. After the arrival of phylloxera in Marlborough, the vineyard was replanted on grafted rootstock in 1992. View our selection. The estate is now renowned throughout the world for its trail blazing Cloudy Bay Sauvignon Blanc. Senior winemaker Tim Heath, joined the estate in 2005 and leads a dynamic team responsible for cultivating and refining the estate style. He brought drive and diverse experience to the winery, having spent several years winemaking in South Australia’s Clare and Barossa Valleys as well as the Northern Rhône in France. Tim works alongside Jim White, Cloudy Bay’s passionate viticulturist who loves getting out amongst the elements. He enjoys nurturing the vineyards through the endlessly fascinating changes of season. What he loves most, is the fact that not two seasons, or vintages, are ever the same and that each year New Zealand’s unique and special climate presents a new set of challenges. Most wines are produced in Marlborough region; Sauvignon Blanc, Chardonnay, Te Koko (a Wild fermented Sauvignon aged in oak), Pinot Noir and Pelorous (sparkling wine). They also produce Te Wahi a Pinot Noir from Central Otago.